So I have been experiencing a slight drought in life; zero motivation and inspiration for anything and everything, hence the sudden slowdown in the churning of blog entries. BIG SIGH. The doldrums of holidays. I do have some posts to cover but I don't believe in doing things halfheartedly, so those have to wait for a while. I'm sorry!!! The beverage espresso makes up the core of your coffee. Hot water is passed through finely ground coffee under high pressure to produce this extract. 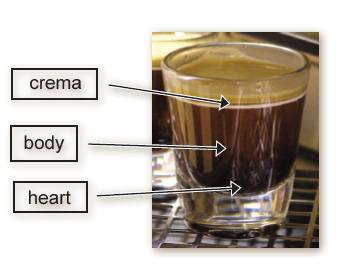 The espresso shot is made up of 3 distinct layers; crema (top), body and heart (bottom). Crema: This is the top layer of the espresso shot. It is thin and foamy, with a golden-brown color. This layer contains the espresso’s finest aromas and flavors. 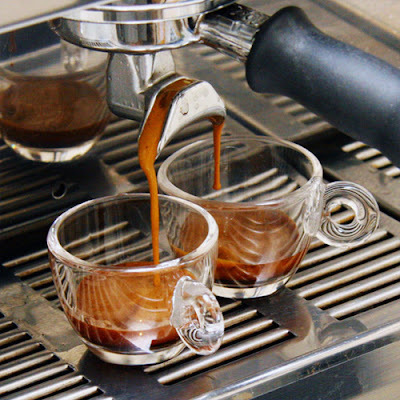 As the coffee’s best oils are extracted during the pulling of the espresso, the crema turns whitish. Body: This is the middle layer of the espresso shot. It is normally a caramelly-brown color. Heart: This is the very bottom of the espresso shot. Its colour is usually a deep and rich brown. The espresso’s Heart contains the bitterness that provides a balance to the sweetness of the espresso’s aroma. The espresso shot expires within 10 seconds, after which the 3 distinct layers merge together to form one awful, black and very bitter mess! 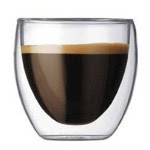 You can tell who's a true coffee drinker by the way the person treats his espresso shot; if he gulps down the minuscule cup that espresso usually comes in, you know that this guy knows his stuff! Solo: A single espresso shot. Ristretto:: This is a 'short' shot. Less water is passed through the finely ground coffee in a quicker time. Since the contact with water is shorter, the flavours of the 3 distinct components of the espresso shot are more pronounced. Espresso Macchiato: Espresso with a dollop of foam. Espresso Con Panna: Espresso with whipped cream. 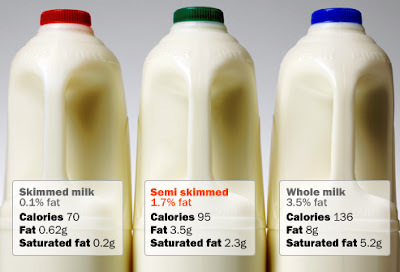 You have your whole milk, low-fat milk, non-fat milk and soy. Well, besides these, you also have breve, or otherwise known as half and half. Breve is half milk and half cream. In my entire time as a barista, I have met only one customer who ordered it! It definitely isn't for those who are on a diet! Where hot beverages are concerned, foam exists. 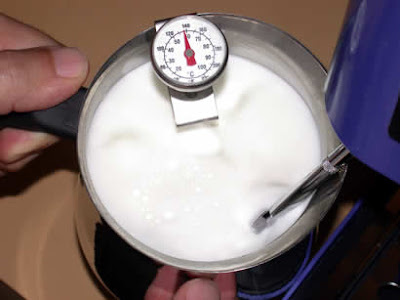 Foam is aerated milk, whereby air is introduced to the top layer of the milk during the steaming process. Foam is deemed sweeter than steamed milk! Americano means 'adding water to espresso'. You can alter the strength of the coffee by changing the number of espresso shots that go into it! Caffè latte is Italian for 'coffee and milk' and that's exactly what this beverage is! You have your espresso shot, steamed milk and a dollop of foam! When it's iced, well, the steamed milk is replaced with milk straight out from the refrigerator! You can customize your caffè latte by adding syrups. Try vanilla (Favourite! ), caramel, peppermint (Christmas period! ), toffeenut (Christmas period!) etc. Do note that 'latte' just means milk. So the Green Tea Latte that you see on your Starbucks menu does not contain a single drop of coffee. At all. 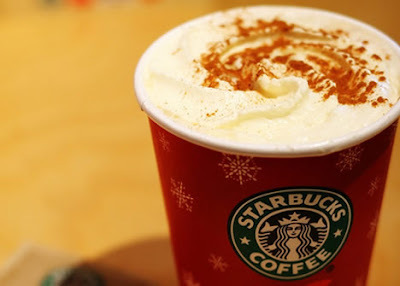 It's your caffè latte with chocolate syrup, topped with cinnamon powder! Iced caffè mocha has whipped cream to replace the dollop of foam! Cappuccino is a concoction of espresso shot and a mixture of steamed milk and foam. You need foam in a cappuccino! It really irks me when I see a menu that has 'Iced Cappuccino'! No foam, no cappuccino! You need heat in order for there to be foam, so there is no such thing as an iced cappuccino! The 'iced cappuccino' is probably an iced caffè latte so please take note (Just in case there's a difference in the prices!)! Since cappuccino consists of a mixture of steamed milk and foam, you can actually have a say over the proportions! Wet Cappuccino:: 3/4 milk and 1/4 foam. Dry Cappuccino:: 1/4 milk and 3/4 foam. Bone-dry cappuccino: Just a little milk and the rest is all foam. EDIT: I just wiki-ed Cappuccino and apparently, 'it is possible to froth cold milk using various methods'. Starbucks has a cold cappuccino called "Iced Cocoa Cappuccino" but this isn't available in Singapore. No froth, no cappuccino! So yep, here ends my post on coffee! If you have any questions, just leave a comment! Do click on the images as they will bring you to the sites which I got the pictures from and tell you lots more about coffee!